For more than a decade, Robin Slonina has worked to establish a respectable arts scene in Las Vegas. Originally from Chicago, Slonina is a star in the world of body painting, known for her extreme artistry and business savvy. 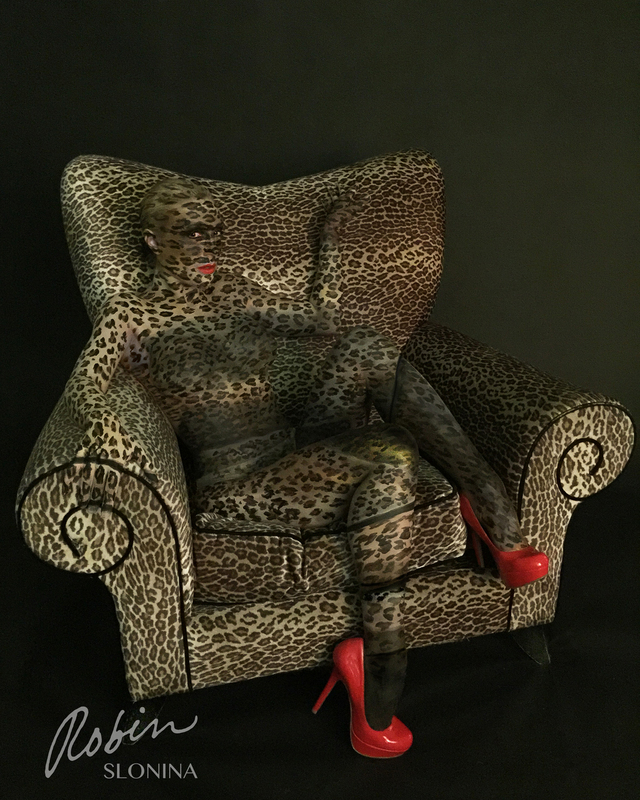 She owns the largest body painting company in the country: the world famous Skin City Body Painting in Las Vegas. A practicing artist her whole life, she received her painting degree from one of the best art schools in the nation: the School of the Art Institute in Chicago. Currently, Slonina is working as a producer and judge alongside RuPaul Charles and Craig Tracy on the third season of Skin Wars, a body painting competition show hosted by Rebecca Romijn airs on the Gameshow network. 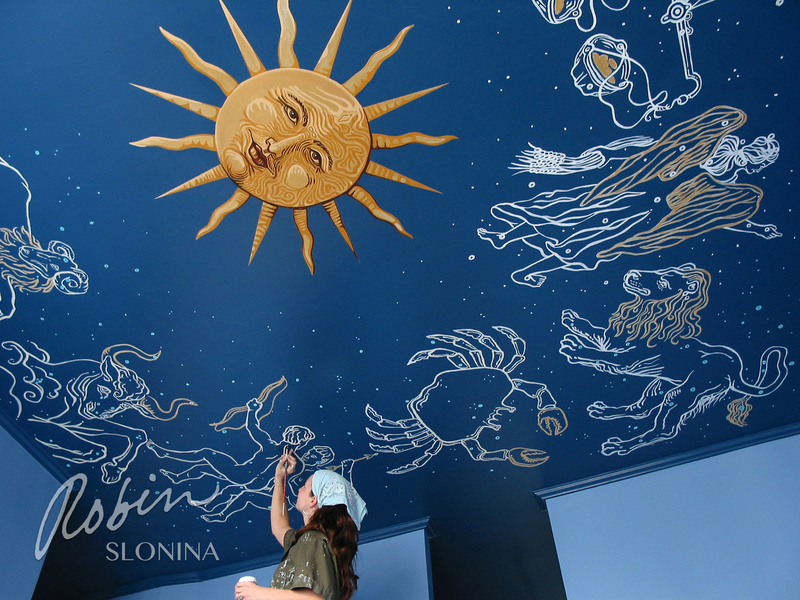 Slonina recently spoke with The Chicago Ambassador about her artwork and her television show. CA) I know you are a multi-disciplinary artist. You paint, create sculptures and murals. How did you first get into body painting? SLONINA) I was wandering around Europe for years living out of a backpack and then I was wandering around America living in a camper van. I met my husband, who is a Cirque De Soleil performer here in Vegas. CA) That was in 2005? SLONINA) Yes, that’s correct. I met him and I was just trying to get my feet wet in the art scene in Las Vegas. I was babysitting an art gallery and this crazy couple walked in the door. This gorgeous woman and her husband. We started chatting and they said they had just lost their body painter and asked if I could do that. So, I’m new to town and was trying to make a living, so I said, ‘Of course I can do that!’ I got online and I researched and taught myself how to airbrush that week. I already had a painting degree from the School of the Art Institute in Chicago, and it’s pretty easy to translate it onto skin. There’s just a little bit of a learning curve with materials and the form of the body. But I did it, and I just fell in love. It was great to see my artwork stand up and move around. It was fun to watch the impression that it had on the model as well. Everything about her changed, her face changed, her body language changed. It was really exciting to see how this second skin of paint can really transform somebody and how they feel about themselves. CA) You opened your Skin City studio shortly after that? SLONINA) Yes, I was pretty hooked. I did that first body paint and loved it and then started collaborating with local models, photographers, hair stylists, and makeup artists. We did a lot of projects for TFP, or trade for portfolio, which means you collaborate with everyone to get portfolio pictures out of it. So I did a bunch of those and got my skills down, then started a website and we took off. Now, Skin City Body Paint is the biggest body painting company in the country. CA) Is Vegas a good place for that compared to Chicago or any other city? SLONINA) There are a lot of excellent body painters in Chicago but I have to say that Las Vegas is a better location for body painting. The weather is much more cooperative. I can’t imagine bundling up a body paint model in the snow and getting her to a location. That would be tough. CA) As for the rest of the art scene, how much different is Las Vegas than Chicago? 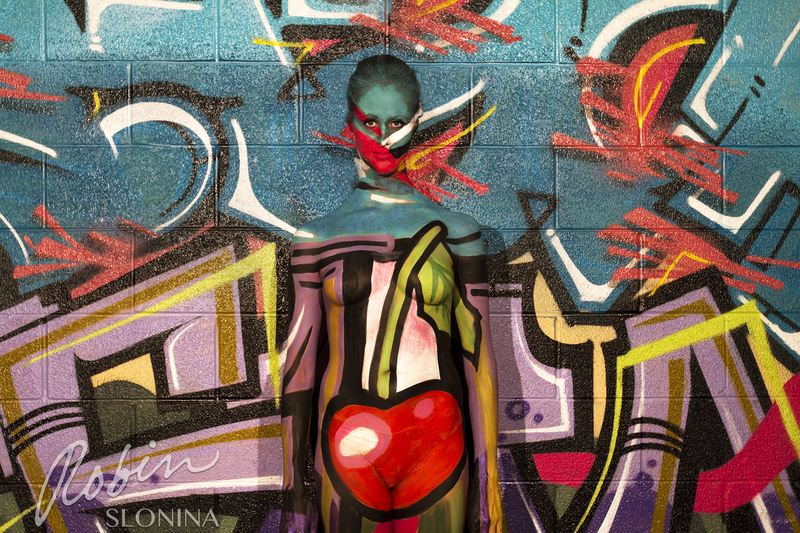 SLONINA) Vegas is a perfect place for body painting because of the weather and all the conventions and parties, but as far as art goes, it’s hard coming from a world-class city like Chicago where my biggest problem on a Friday night was which of the twelve amazing art events am I going to go to, to coming to Vegas where there is one art event a week. We have a very small art scene in Vegas but it’s a very passionate one and it’s growing steadily and has a lot of advocates that are trying to build it up. I’ve been a big part of the arts district growth, I was one of the first business owners that was helping to transform the scene into something a little more exciting and a little more professional. Coming from Chicago, that really helped because I brought that hard-working, professional attitude that Chicagoans are known for and I applied it to Vegas. CA) How did you get involved with the Skin Wars television show? SLONINA) I had been trying to get some sort of body painting television show off the ground for a few years. I knew that it would be a hit and believed that America was ready for a show about body painting. Luckily a couple others had a same idea and we met up and came up with the idea to turn it into a competition show. I had originally envisioned a body paint show about my company in Vegas, but we pitched the competition idea and the Gameshow Network was the most supportive. It was really a match made in heaven because they wanted to do it for the right reasons. They respected the artwork, they didn’t want it to be a contrived drama or to exploit the art. They really did a great job and have come up with a great format for the show. CA) As an artist is it a little bittersweet that your work won’t be around forever because obviously the model has to eventually take a shower? SLONINA) Yeah, it definitely takes some getting used to. You can work on something for six hours and then watch it get washed down the drain at the end of the day. I’ve always been interested in temporary art. It’s very much what life is and it reminds us to cherish every moment and cherish every day. Most body painters take photos of their work so it does live on through that. CA) Has the show kept you away from producing your art at all? SLONINA) No, definitely now. My life has kept me away from that. [Laughter]. I have a six-year-old son, I have a husband, I have a million projects always going. We film the show over six weeks in Los Angeles and it’s nice to have that chunk of time to focus on one thing. CA) Skin Wars is the most watch show on the Game Show Network Have you finished filming the third season, which is currently on the air? SLONINA) Yes, we have. Let’s just say I know how it turns out. [Laughs]. CA) You’ve just opened up another studio in Las Vegas in January as well, correct? SLONINA) Yeah. I’ve been spending the last decade building up my business and now I can focus on my own fine art body painting and other artwork. It’s in The Arts Factory, which is in the hub of the arts district in Vegas and is more focused on my own fine art. CA) Any advice for emerging artists? SLONINA) Try your hand at body painting. You never know, you might fall in love with it.